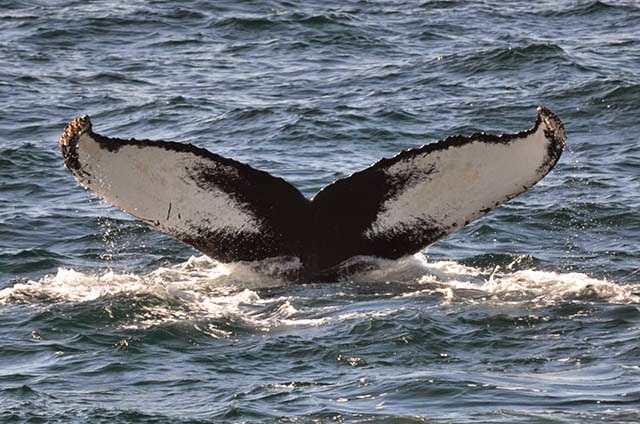 Today we travelled up to an area just south of Jeffrey’s Ledge in search of whales! We started our trip with Tornado and her 2014 calf. These two were taking super short 1-3 minute dives travelling all around the area. At one point, Tornado came up to the surface with a big mouthful of water and fish. Tornado filtered just below the surface while her calf bobbed up to the surface here and there. 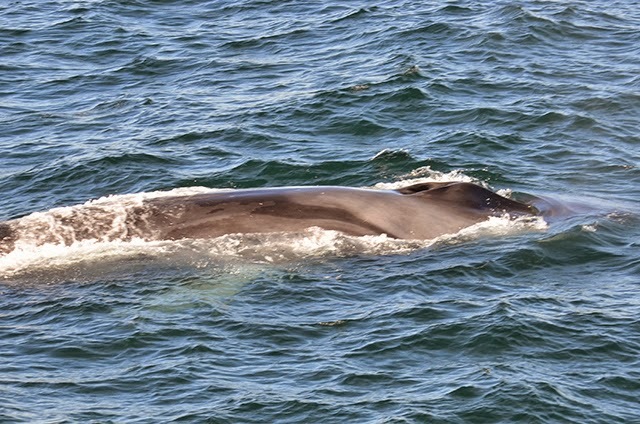 There were many other blows in the area, and we moved forward to inspect a fin whale that was traveling through the area. 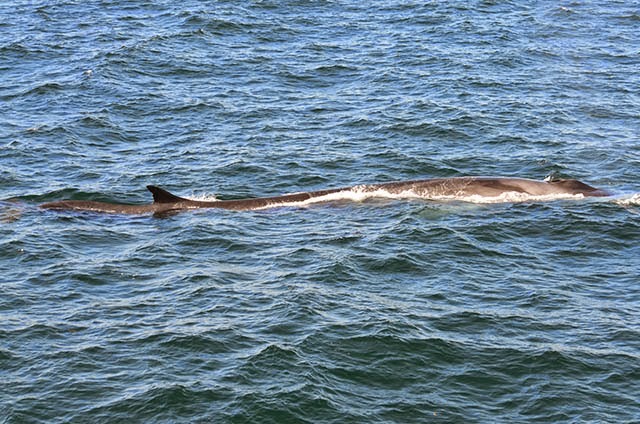 We waited for the fin whale to pop back up to the surface when suddenly, just off our port side, the fin whale slowly floated up to the surface. It was so exciting to get to see this beautiful finback so close and so slow at the surface. It conveniently surfaced so that we could get a look at the beautiful chevron patch on the right side of the animal. Usually when we see fin whales they are moving too quickly for us to keep up with so this look was a real treat. After watching the fin whale for a bit, we moved on to look at Jabiru, another humpback whale in the area! As we started to run low on time, we decided to finish up our trip with another look at Tornado and calf. 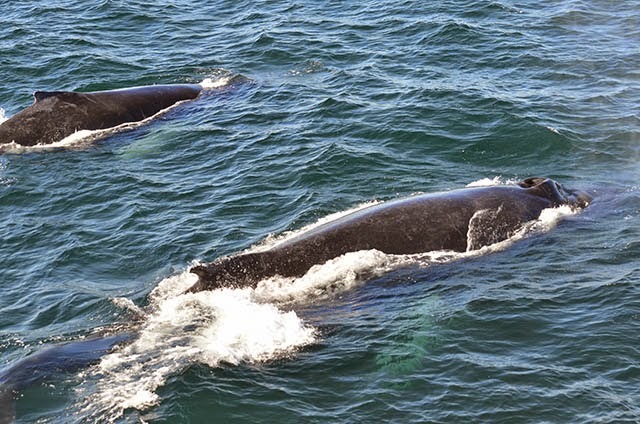 We were treated to an amazingly close final look at this mother-calf pair. It was a great day out on the water with bright skies and a few Northern Gannets scattered around the area! As I wrap up my report, I have some great news to share. I have just found out that I will be working as a naturalist for the Pacific Whale Foundation in Maui this winter! I am so excited for this new opportunity and I would like to thank all the passengers I’ve talked to over the past few weeks about this for keeping their fingers crossed for me!